Windsurfing has been a popular sport on the Dutch coast for many years and Zandvoort has frequently played host to many international competitions attracting competitors from all corners of the world. In 2006 for example, the Dutch Wave championships were held on Zandvoort beach where ideal wind conditions helped competitors to achieve excellent speeds throughout the competition. Also the Windsurfing World Cup has been held here several times. You can see windsurfers on Zandvoort beach most days of the year as the open coastline makes for good, regular windsurfing conditions. The conditions are the same on pretty much the entire stretch of coast at Zandvoort. 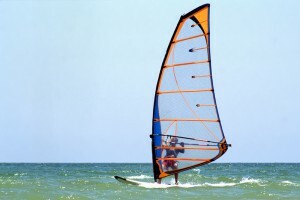 Windsurfing is a surface water sport combining elements of both surfing and sailing. It consists of a board usually of a length of 2 to 3 meters, with displacements generally between 60 to 250 litres, powered by wind on a sail. The rig is fastened to the board by a universal joint which is free-rotating and consists of a mast, 2-sided boom and sail. As with kitesurfing, if you want to learn the sport, lessons are available from watersports clubs which you will find on Zandvoort beach. The Spot club on Zandvoort beach (also a pavilion) also goes by the name of:’Tim Klijns Watersportcentrum’ and this really is a popular spot at the Northern end of the beach. 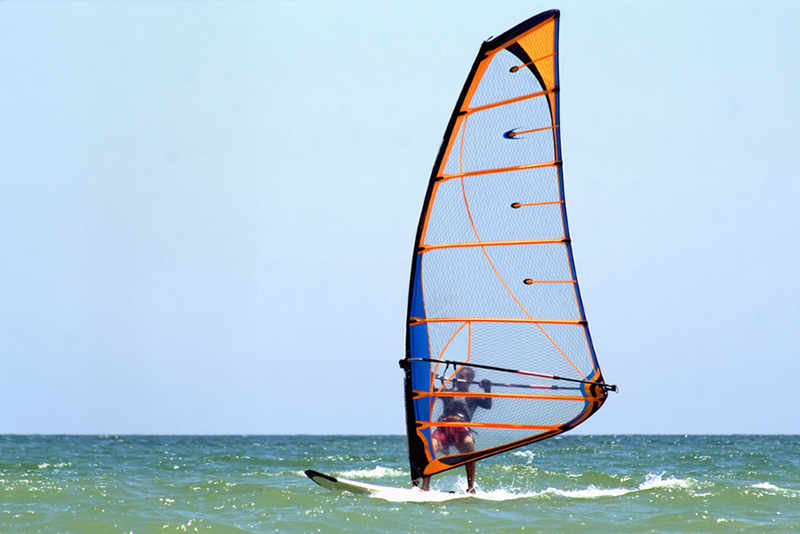 Here you can get lessons in various watersports including: windsurfing, kitesurfing etc. 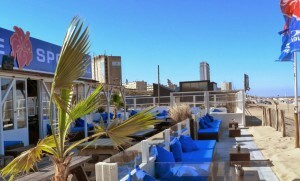 This club has it all, good food, (some of it vegetarian or organic) very friendly staff and the sort of relaxed ambience that you need for a nice day at the beach. 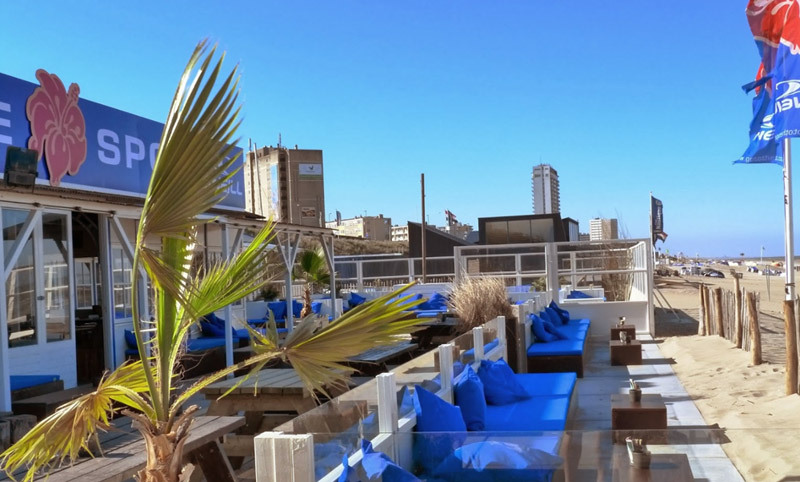 If you are really into watersports, then here also you will be able to rent out the necessary gear ie: surfboard/paddle-board/rowing boats/sailing boats.